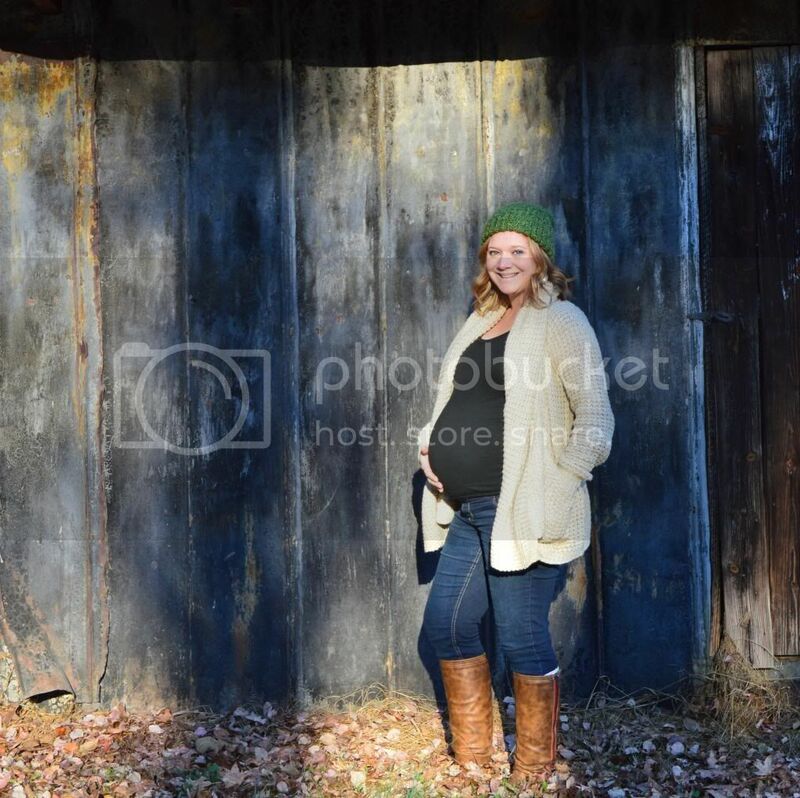 Maternity Clothes: Loving them, but really looking forward to maternity yoga pants once Christmas break rolls around. Sleep: Not great. I feel like this is God's way of preparing me for what's to come. Feeling: Blessed. A healthy baby boy. It's literally the best feeling in the entire world. There were things that happened this week that could have really brought me down and, perhaps if I were in a different place in life they would have, but there is just way too much to be grateful for. I'm seriously so blessed. Best Moment(s): Hubby and I went on an awesome date last Saturday. We went to the Grand Luxe Theater and watched Catching Fire. The food was great and so was the movie! We traveled north to be with family and friends and I just couldn't be happier to be here. It was the best to just be home and be around the people that love me and already love our baby boy so much. I've missed them. My mom made this for us and I just fell in love with it! How cute is the ECU sock monkey and the diaper motorcycle?! Love. Just a small portion of the family I got to see and came out to show CT some love. Loving that ECU sock monkey! You are looking so cute. I hope that you are feeling good and enjoying your last few weeks before your little pumpkin arrives! You are too cute with that little beanie! You are ALL baby belly too. He will be here before you know it! You are too cute! Love that you had such a good time back home! That sock monkey is too adorable! Looking gorgeous mama!! How exciting!!! Love that monkey!